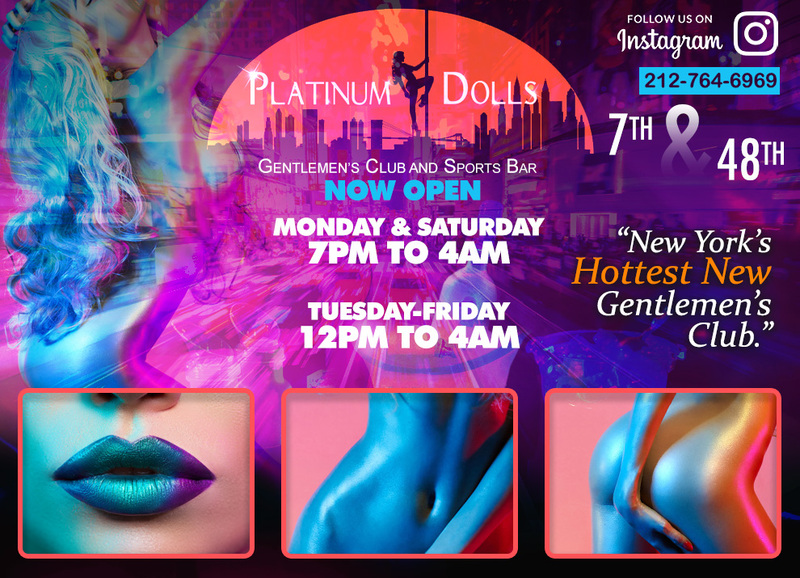 Welcome to Platinum Dolls, The Hottest Gentlemen’s Club and Sports Bar in New York City. 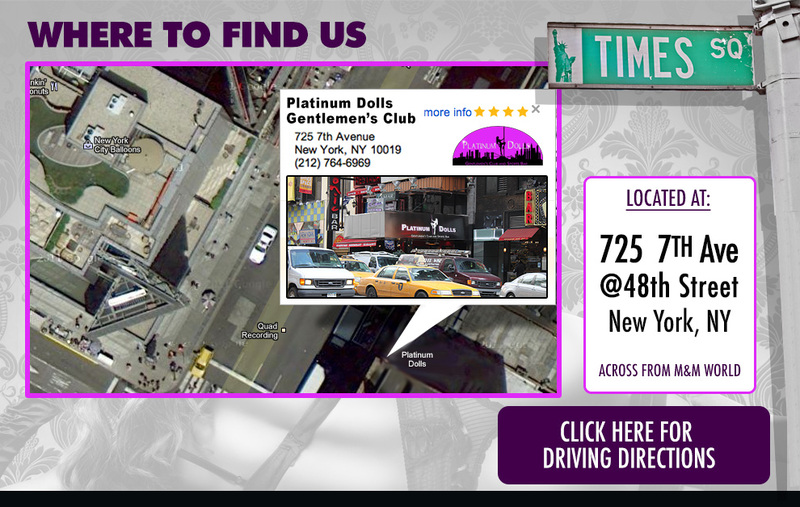 Located in the heart of Time Square Platinum Dolls Gentlemen's Club and Sports Bar is New York's finest. For guests 21 & Over & features the hottest dancers around. If you are looking for a great time, beautiful women, and affordable VIP Rooms… look no further. Platinum Dolls offers Bottle Service and Drink Specials. DISCLAIMER: The Stock Photography Models portrayed on this website do not work at Platinum Dolls Gentlemen's Club and Sports Bar and are for illustrative purposes only. The Models do not personally endorse Platinum Dolls Gentlemen's Club and Sports Bar. The models are simply used on this website to portray types of beautiful girls that do work at Platinum Dolls. The context in which the photographs are used on this website is not intended to reflect personally on any of the Models shown in the photographs. We do not mean to imply, in any form, a working employment between the models pictured and Platinum Dolls.